I met with Chef Savoy early in the morning as they were preparing for the day. We sat down and had a nice talk about butter. He was kind and generous with his time and feelings about butter. He gave us a tour of the restaurant, introducing the artwork and details of the design. One of the highlights was when he took us into the kitchen. Bustling with people and fresh food everywhere, the kitchen was alive. Everyone was kind and welcoming— an experience I won’t soon forget. Restaurant: Walking into Parisian restaurant Guy Savoy is like entering an art gallery. Paintings line the walls and sculptures sit incased in glass cabinets. The food’s exquisite flavor and design display another kind of artwork. Among many other accolades, Guy Savoy’s nouvelle cuisine has earned the establishment three Michelin stars. The influential French restaurant guide Gault Millau awarded Chef Guy Savoy five toques. Chef: Guy Savoy states that he was “determined to be a chef, and nothing else.” At age 15, he began apprenticeships and training with a French chocolatier. From there he worked and trained in numerous restaurants. In 1980, Guy Savoy opened his eponymous restaurant in Paris. He earned his first Michelin star a year later, a second in 1985, and a third in 2002. Named one of Europe’s top chefs by LuxuryTravel.com, Guy Savoy owns five other restaurants--three in Paris, one in Las Vegas, and one on an exotic island, The Pearl-Qatar. In addition to Chef Savoy’s culinary awards, he received the title of Officer of the Légion d’Honneur from the President of France. 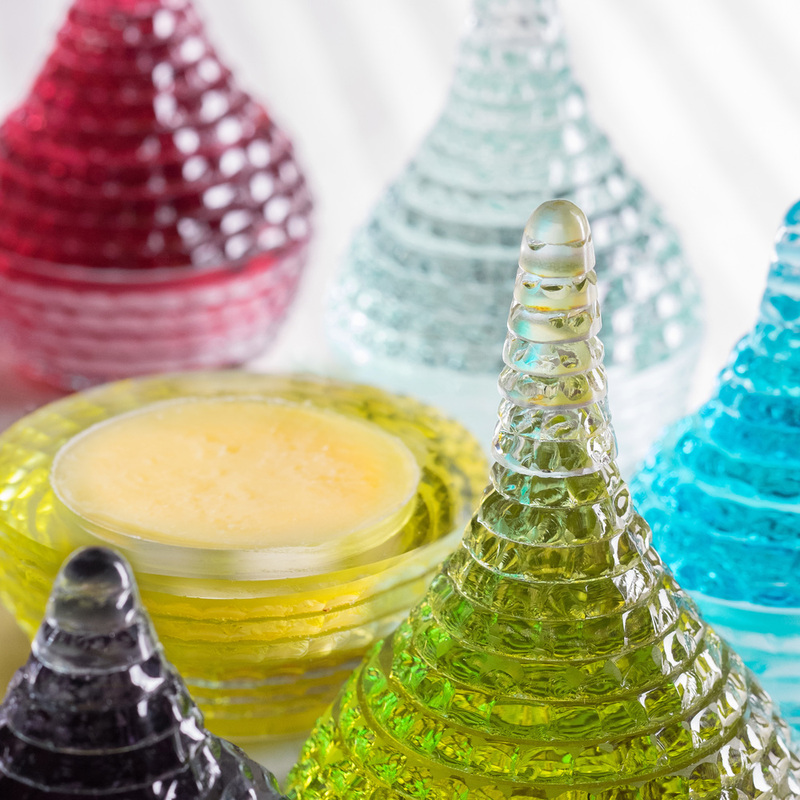 Butter: Glass dishes in numerous hues and sizes grace each table. Custom-made by Parisian glass artist Laurent Beyne, these delicate receptacles resemble water droplets, each cradling a different ingredient. Two hold butter: Maison Bordier salted butter and unsalted butter from Normandy. 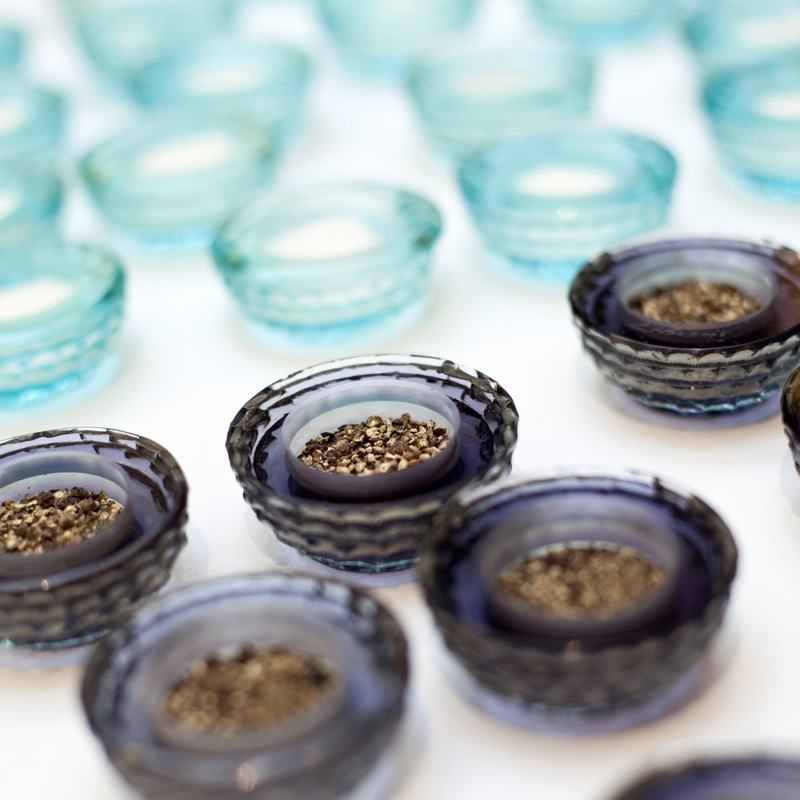 The other dishes present flake salt from Brittany, Malaysian pepper, and votive candles.